There are many areas where LED lights truly excel but none is more apparent than with grow lights. The reasons are many fold for this inherent strength which we'll get into but there are a couple of key considerations and ultimately, each LED light is not created equal for this use. We'll look at what to consider from a shopper's point of view when considering and choosing LED grow lights for your use. First, what do we mean by grow lights in general? Grow lights are essentially used to grow agricultural plants, flowers, and herbs for many purposes. There are large scale grow house for year round agriculture by the 10's of acres to personal hydroponic gardens and greenhouses even within residential houses. These are all the same in terms of their need for light. Just the scale differs. So let's look at our root goal with LED grow lights or any grow light for that matter. First, a quick introduction to the lifeblood of a living plant. Most green, living plants (that we're most intimately dependent upon) require light to create energy via photosynthesis. Photosynthesis is the chemical process that a plant uses to turn certain wavelengths of sunlight into direct energy it can use. This area of the spectrum that can readily be used is called PAR or Photosynthetically Active Region and it's where we want our light "shine" if you will. Sunlight creates a wide band of spectrum, in fact, you could say it creates across the entire spectrum which is ideal for plans. We have created lights that mimic the critical part of the spectrum, the PAR, in order to substitute manmade generated light for sunlight for many reasons. It may be a function of controlling output, yield, and environment such as growing in cold climates or even just the ability to grow indoors for our own use. Either way, PAR spectrum is critical in our light generation. Once we're creating the right type of light for growing, there are other factors that make LED light extremely well-suited. First, the primary cost of grow lights is energy use due to the high usage. Some plants do not require a dark period to grow while others require very little so longer durations of light generally result in faster time to maturity and faster growth. The problem with traditional grow lights with such high usage are many fold and speak to comparative strengths of LED's in general. First, is the cost of electricity itself. 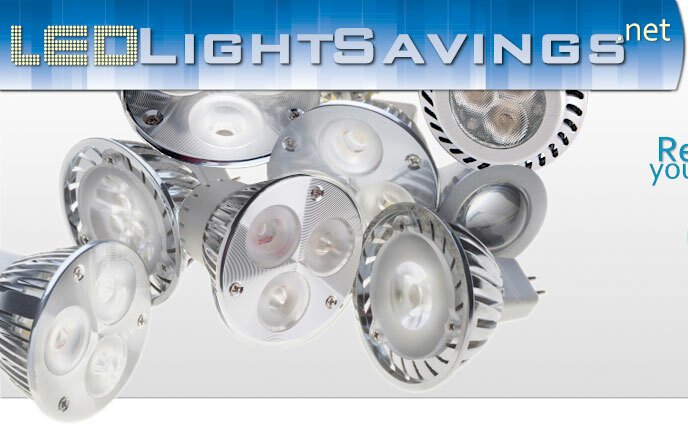 As mentioned throughout the site, LED's real value comes from the prolonged savings in energy costs versus incandescent or HID bulbs. Energy usage can be 10 fold for traditional grow lights which adds very quickly with such high usage. LED grow lights also last much longer which is important since light bulbs life spans are measured in hours and intensive grow light requirements eat through these hours relatively quickly. That's more replacement costs as well. Traditional lights also create a tremendous amount of heat. In fact, 70-90% of the energy use is lost in the form of heat, instead of light. This incredible amount of heat typically poses additional issues and costs for traditional grow lights such as dehydration, cooling, fire issues, and the like. LED lights convert nearly all their electric power to light (and not heat) so they do not require these extra costly requirements. Growers at any scale are quickly realizing the advantages of LED grow lights over comparable options and making the transition over. There is some investment up front but the resulting savings will generally pay for the initial investment in 9 months to 1 1/2 (especially with LED light rebates) while the savings will continue for years after.